Dr. David McGuire is a clinical instructor at the University of Washington, Seattle as well as being the chairman and founding board member of Life Alaska, a tissue procurement agency. He currently serves on the board of directors of the Arthroscopy Association of North America and is a co-chairman of the Legislative Committee for the Alaska State Medical Association. He practices privately in Anchorage, Alaska, where he specializes in knee and arthroscopic surgery. Knee1: Why did you become a doctor, and more specifically why did you decide to go into knee surgery? Dr. McGuire: I grew up in Northern Minnesota, and there happened to be a doctor by the name of Dr. David O. Berge. One time I had an earache and my mother took me to see him and he put something in my ear. To this day I do not know what it was, but it made the pain go away. And I thought, well, that’s pretty cool, I want to do that. So from about the time I was five I wanted to be a doctor and my mom didn’t do anything to discourage that idea. After medical school, I ended up in South Dakota on an Indian reservation called Rosebud. There were five or six of us there all who were just out of medical school, and that was a thing that you could do in lieu of service in the armed forces. I spent two years there. Well in the course of that, they said they needed someone to be chairman of the department of orthopedics. I mean, it was kind of funny in a way because there was only one person in each department so it wasn’t much of a department to be a head of, but somebody had to take the lead so that’s what we did. It became quite apparent that I was interested in doing orthopedic surgery. Knee1: Dr. Mcguire was one of the first to see the potential of arthroscopy. Dr. McGuire: By 1980, I decided to limit my practice to arthroscopy. At that time, that was a fairly bold maneuver because everyone was saying arthroscopy was a flash in the pan, and it wouldn’t work, it was witchcraft and all this kind of stuff. I think it was in 1980 I heard David Drez in Hawaii talking about "anterior cruciate ligament surgery arthroscopically assisted." Half of the audience was giggling, and saying things like, "The triumph of technology over reason." But I thought to myself, wow, if we could really pull that off, that would be huge. Well, needless to say it did work and I spent the rest of my days doing one sort of arthroscopy or another. At the beginning we didn’t know what was possible. There were no real instruments that were made specifically for arthroscopy; they sort of evolved as the science evolved, and it was a self-taught sort of thing. We arthroscoped knees and ankles and toes and hips and wrists and elbows and shoulder and fingers and we looked at everything trying to figure out what was there and what we could do. Knee1: Can you describe arthroscopy for our readers? Dr. McGuire: "Arthros" is a joint, and "scope" means "to look into." So arthroscopy means you’re looking into a joint with a little telescope. It’s now called endoscopy because all the procedures that are done on the abdomen—gall bladders, appendectomies and stuff like that—are done with a flexible endoscope. Pretty much everyone is realizing now that the more you can do with the smaller invasion the better it is. We use a telescope hooked to a camera and the camera then puts the image on television and the end result of that is that we’re able to look into a joint and see what’s going on, and examine the joint even better than we could in those days when we opened the joint wide open. So it’s obviously become the technique of choice for knees, and also to some extent for shoulders. It depends on what the problem is and it depends on the surgeon, but that’s it in a nutshell. Knee1: Dr. McGuire has developed major technological advances in arthroscopic knee surgery—in particular, a screw that has revolutionized the treatment of anterior cruciate ligament (ACL) injuries. 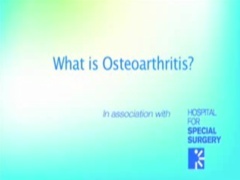 Knee1: Doctor McGuire, can you describe what the screw allows you to do? Dr. McGuire: If you have this tunnel where the new ligament is going to be, you have to get the ligament into the tunnel and you have to keep it there. There are any number of ways to do it, but they’re just not slick. They’re awkward, and they fail. But the idea here was that this would be an interference screw. You’ve got the tunnel and the ligament in it, and for the most part the ligament occupies the majority of the tunnel. Then you screw the screw in on top of the ligament, wedging the ligament between the wall of the tunnel and the tunnel itself, and it’s a really strong fixation. You can’t pull that thing out of there. Knee1: How did you develop this idea? Dr. McGuire: One day we figured out inadvertently that you could drill the femoral tunnel through the tibial tunnel. It was sort of that Eureka moment where I said to the my nurse at the time, Toya, "Toya, did you see that?" She said, "I saw that boss." And I said, "Now how did we do that?" Because I had been around the country talking to various experts, asking them their opinion of this idea and they had all assured me that it was not possible to do. Not only was it possible to do, but it turns out that’s pretty much how it’s done throughout the world today. The technique had been described before. But that’s kind of a sidelight because what happened after that is I decided that if I had a screw that didn’t have a head on it, and had a hole down the center, we would be able to put a guidewire across the knee, into the tunnel on the femoral side, and we would be able to drill that screw across and it wouldn’t get lost in the knee or go someplace we didn’t want it to go. I went to a company and they made that screw for me, and the rest is history. I suppose something like 85 percent of all the ACLs in the world are done using that screw. Knee1: How have advances in treatment of ACL injury affected peoples’ lives? Dr. McGuire: The coaches used to say if you had an ACL tear, "Who are you going to replace them with?" The techniques were such that you never ever got the person back to the place where they could play sports again. Lots of people besides athletes tear their ACL — hunters and hikers and people just living their lives. It’s a major debilitating injury that leaves you with an unstable knee. So the fact that we were able to fix this at all was really a big deal because when I was in school, it was called the "unsolved problem of the knee." The knee was thought to be a hostile environment, where if you put anything in it, it wouldn’t work. Knee1: Before the late 80s, surgeons made new ACLs by taking the semitendonosis, another part of the knee. Making a new ligament out of tissue from the patient’s own body is called an "autogenous" graft. McGuire was one of the first surgeons in his region to start using "allografts" - ligaments from organ donors. That way, he said, "You’re not robbing Peter to pay Paul." In the early 90s, frustrated about the lack of tissue available for harvesting, Dr. McGuire and several colleagues founded Life Alaska. Dr. McGuire: The whole problem was tissue harvesting was left to the organ banks. The organ banks had the approach, justifiably, that they were saving lives and tissue was only making lives better. So tissue took a backseat to the organs, and the tissues were not being harvested. What was needed was an organization that focused on getting tissue, and indeed that’s exactly what happened. Now we have as much tissue for donor reconstruction as we need. Life Alaska focuses on going to the DMV, the medical examiner and on making sure that everyone carries a donor card not only for organs, but for tissue as well. When there’s a death they interview the family and ask permission to harvest certain tissues. I think it’s a wonderful example of what you can do. As a result of our work, Alaska has the highest per capita tissue donation in the nation. When we founded Life Alaska, around 1990, tissue recovery was under the auspices of an organization in Seattle, Washington. The year before, if memory serves, they had recovered something like six donors. Last year we recovered over 200.